Mercury Nashville/19 Recordings/Interscope artist Lauren Alaina will release her debut album, Wildflower, on Oct. 11 with a nationwide media blitz that will include numerous national television appearances including the release day kickoff and premiere performance of her upcoming new single “Georgia Peaches” on Good Morning America (Oct 11), Live! With Regis & Kelly (Oct 13); The Ellen Degeneres Show (Oct 21) as well as interview features on E! News, Entertainment Tonight/The Insider, CNN, GOOD DAY LA, CMT Insider (Oct 8), GAC “On The Streets” (Oct 11) and GAC “Top 20 Countdown” (Oct 14). “Georgia Peaches,” the second single from her highly anticipated debut album Wildflower officially goes for radio adds on October 24. 9 p.m. ET/8 p.m. CT. GAC cameras have been following Lauren around since June and have captured many important moments that have occurred since she won runner-up on Season 10 of American Idol in May. The show also features interviews with family, friends and industry leaders who have played an important role in his personal and professional life. 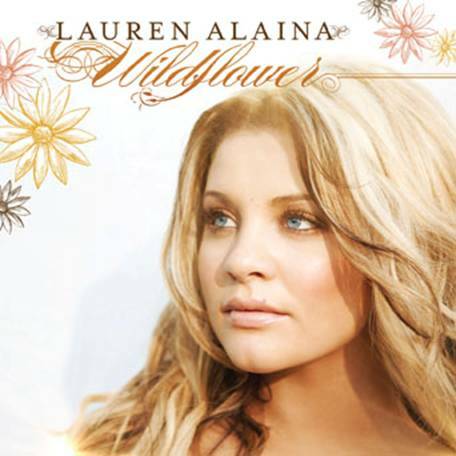 On Oct. 22, Lauren will perform on The Grand Ole Opry, which will be televised on Opry Live on GAC at 8 p.m. ET/ 7 p.m. CT.
Wildflower is available for pre-order now at iTunes HERE and Amazon.com HERE. Also, Lauren’s official website (www.laurenalainaofficial.com) is currently offering an exclusive album pre‐order package that includes Lauren’s full‐length debut album, an autographed 8×10 photo (for limited quantity of orders), a personalized poster and an instant download of her single “Like My Mother Does,” as well as entry in to the Ultimate Country Music Association Awards experience that includes a meet‐and‐greet with Lauren.